WASHINGTON – A Gila County supervisor touted the potential benefits of “holistic” carbon sequestration to a congressional subcommittee Wednesday, saying it could help ranchers and prevent massive fires at the same time. Construction has begun on a cemetery memorial for 19 firefighters killed in an Arizona wildfire last year. A week full of new Environmental Protection Agency rules and environmental hearings in Arizona provided a campaign talking point for conservative candidates and a golden opportunity for others to appeal to the base of Arizona’s dominant political party. More than 2.8 million Arizona residents — or 44 percent of the state’s population — live within areas that are most vulnerable to a catastrophic accidental release of gaseous, and sometimes explosive hazardous chemicals. After a decades-long struggle over the best way to confront dust pollution in metro Phoenix, the U.S. Environmental Protection Agency announced today that it has approved the state’s air quality plan for the Valley, officers from the Arizona Department of Environmental Quality confirmed. One year after a fertilizer plant explosion killed 15 people, injured hundreds and devastated the town of West, Texas, significant questions remain about the safety and security of hazardous chemical storage facilities across the U.S. and in Arizona. Could price be a tool for encouraging water conservation in Arizona? It’s a complex calculation, but at the most fundamental level this much is true: The amount of water needed to have a lush, green lawn in Phoenix would yield a substantially higher water bill for a homeowner here. 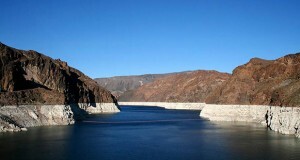 Arizona’s long-term water future: Is the state ready to make hard decisions? Residents of the Sun Corridor stretching through the Valley and Tucson turn on faucets, water lawns and fill swimming pools without any doubt that the state’s most precious resource will always be there. Gov. Jan Brewer called on Arizona residents on Wednesday to be vigilant about preventing wildfires in the wake of an ongoing drought that has left the state even more vulnerable.